When you hire me as your coach, you get one hundred percent of my professional attention and never have to worry about limits on schedule changes or communication. I do not believe in packages or limits, just committed, all-in coaching. Speed Science is not the cheapest game in town, but nobody will work harder for your success. Let me show you the path to your true potential. My biggest strength as a coach is my adaptable communication style. I realize every athlete is a different, unique person and make sure that all of my clients get the individual attention they deserve. In addition to fitness gains, I strive to improve the skill level and proficiency with which my athletes approach their sport. We work one-on-one to achieve key skill and mindset improvements to maximize the gains made in training. A USA Cycling Level 2 and Ironman certified coach, I'm based out of Keene, New York, just down the road from Lake Placid. Our home is a stone's throw from the Ironman bike course, the Whiteface 100 course and miles of hard northeast singletrack. When we're not on our bikes - or figuring our way through home renovations - my wife and I are usually climbing, skiing or out in our gardens. 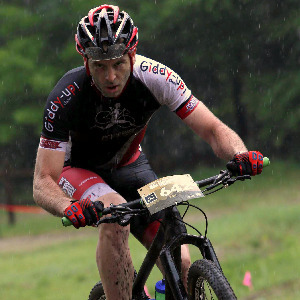 Though I've raced and trained an a variety of disciplines, I currently compete all over the Northeast in mountain bike and cyclocross races. In addition, I travel to as many other regional races as I can. Being at races gives me a great opportunity to interact with my clients and help them with event- and course-specific challenges. In addition to full-time client coaching, I also offer individual and small-group coaching rides and clinics. These can focus on handling skills, general proficiency, race-specific strategies, or almost any other skills you would like to improve. Success. Coach Patrick Carey has been notified of your message.